NEW Paslode Impulse IM90i Gas Framing Nailer. For more information on the NEW Paslode Impulse IM90i Gas Framing Nailer or any other Paslode products, please call our friendly sales team on 0121 544 0055. 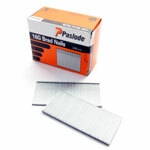 To buy NEW Paslode Impulse IM90i Gas Framing Nailer select the quantity required from the table below.